Shawn was the person who took care of me. He is exceptional on customer service and I would highly recommend him. He is patient, explains things well and comes up with solutions to fix the problems. Sean was very helpful in diagnosing the problem with our sensor, replaced it in a timely fashion and was a pleasure to deal with!!! My father and I came in today for service due to a battery issue. The weather outside has been frigid cold for a few days now. The issue was resolved quickly and professionally. Excellent, reliable and experienced staff with exceptional service. 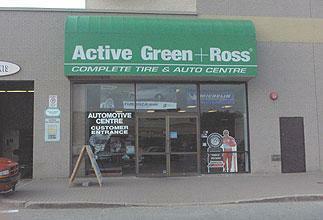 Green and Ross are privileged to have Marco as a front-line representative. The Don Mills and Steeles location was never on the radar for my automotive service needs, but due to Marco and his team, they now top the list. Thank you.